The Croner’s cabin features a modern, more open and ergonomic design with driver well-being and efficiency at the forefront. 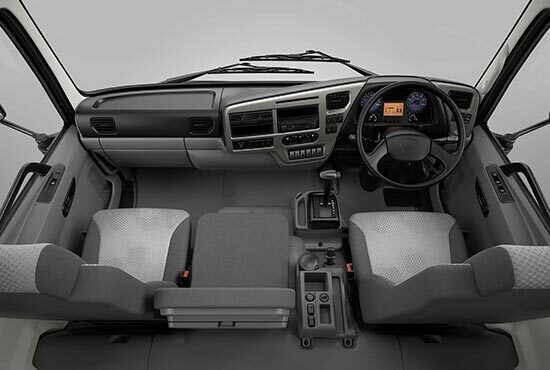 This means more comfort, less fatigue and higher productivity for the driver. Ergonomically designed seats with a wide range of adjustment, plus a steering column with adjustable length and angle, to suit a wide range of drivers and give the best driving position. Optional air suspension driver’s seat delivers even better comfort. Ample overhead storage bins and clear interior lighting with optional large fluorescent lamp. I’ve been working as a driver at Nanon for about eight years now. I drive a Croner with an automatic gearbox. 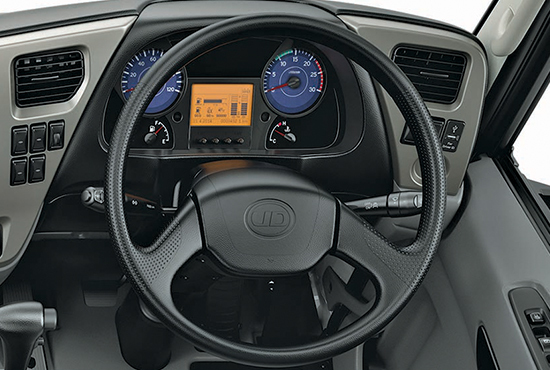 It’s comfortable and very easy to drive; the steering is light and responsive. The roomy cabin of Croner makes for a comfortable and enjoyable driving experience. I really like driving UD trucks. If one day I were to become a business owner myself, I would choose Croner for its fuel economy, safety, durability and power. 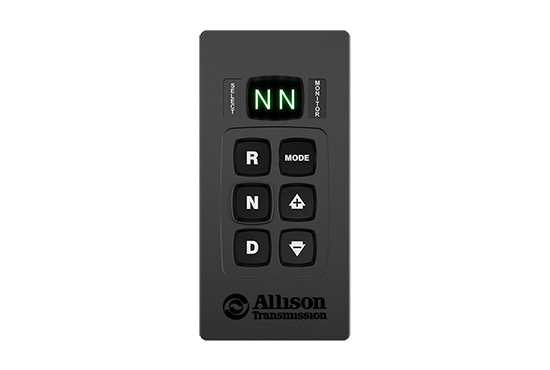 Automatic transmission available for all models for improved ease of use, safety and less driver workload. It quickly and automatically chooses the right gear position at all times and the high torque engines make Croner a pleasure to drive. “I have always wanted to be a truck driver since I was little. My father was a driver and my brother and all my family are professional drivers,” he says. “I’ve been driving for 12 years and for me UD makes nice trucks.” The rough conditions of the farm roads he tackles mean Croner is going to feel right at home, because it’s designed for emerging countries where conditions can be tough. An easy-to-read instrument cluster is backed up by the digital multi-function display (MFD). 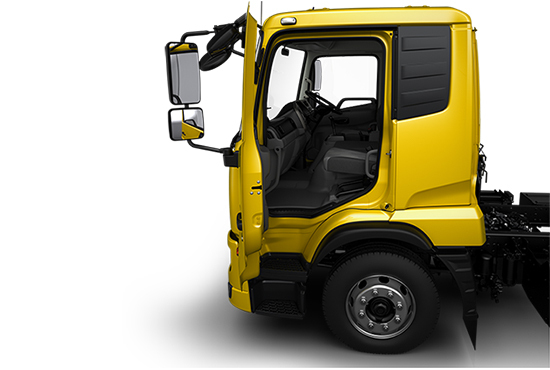 Croner is one of the few medium-duty trucks to have this as a standard feature in all models. The two-step entry allows for a quick and safe entry and exit with a first step positioned for easy cabin access and a longer, ergonomic entry-handle. Rested drivers deliver better. A sleeper cab configuration is also available, with a single bunk bed for long-haul operations. 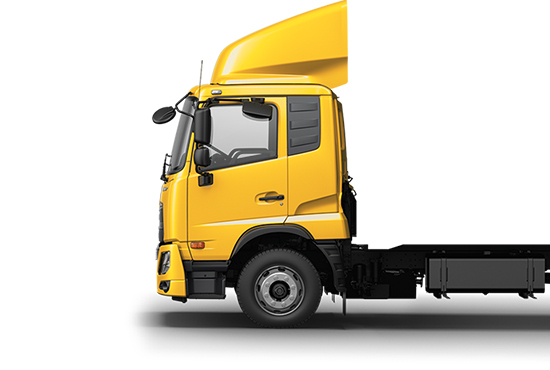 The handover introduction ensures the driver learns about his vehicle, its features and how to conduct daily check inspections that are essential to keep the truck on the road longer. This training helps even experienced drivers improve their efficiency behind the wheel for more cost-effective and safe driving. The course shows drivers the best ways to secure goods and protect them against theft.